Vintage One: 20 years of Mtn Bike passion and counting. : Letting the genie out of the lamp? A few months ago I was thinking this: What is Missing. The idea being that there is nothing in the 29er FS market that hit all the buttons for an All Trail bike if you also wanted light weight. Basically, like the old blog said...an Ibis Mojo 29er with less travel. Well, it has been no secret that Ibis has been working on a 29er FS even if they did do it kicking and screaming along the way (seems that they are not...or have not been...ardent big wheel fans). Here it is. It is, at least at first glance, just what I wanted it to be. 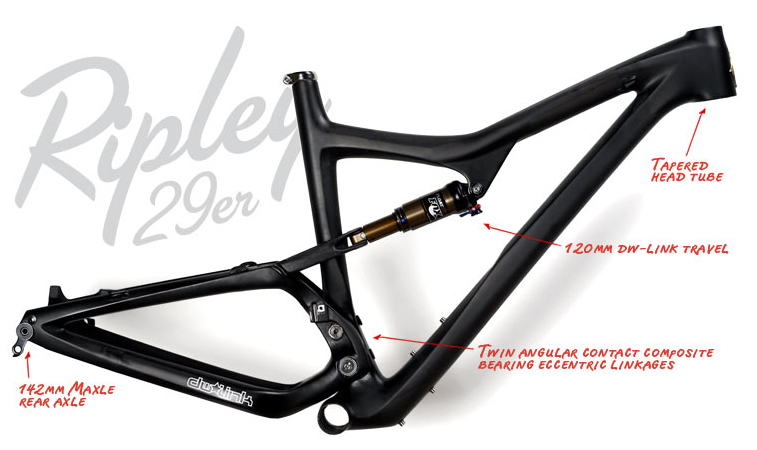 If the geometry is 'in there', then I just may have to begin saving up big time cuz a CF Ibis is darn expensive. But, I could trim the quiver a bit, eh? This could replace the Epic AND the FSR and be as light or lighter than the Epic is. Hard to argue with that one. But that cost is daunting. Well, you can't have it all. Light...strong...cheap. Pick two, as they say. Time will tell, but I am stoked and I bet more than a few companies are looking at this one through squinted eyes, wondering if they should have rubbed that magic lantern just a bit harder.